James Wesley (Gene) Autry, Jr.
James Wesley Autry Jr., known to his family and friends as Gene, was born on November 24, 1950 to the late Thelma Ray Oliver and James Wesley Autry, and entered eternal rest on January 29, 2019. He graduated from Jordan High School in the class of 1969, and later attended North Carolina Central University before joining the United States Army in 1970. Gene served in Vietnam from 1970-1971 and the Army Reserves 1971-1972. After his honorable discharge from the military, Gene worked with Southern Railroad for 13 years before working 10 years with the City of Durham Water Treatment Center. 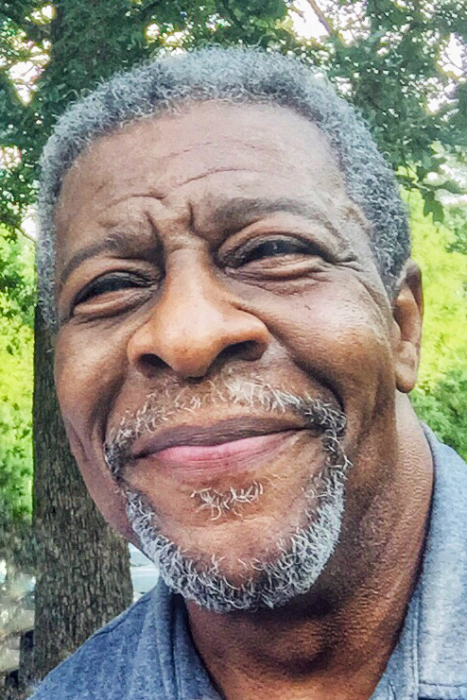 Because helping others was second-nature to Gene, he shared his skill of compassionate guidance as a counselor with Joint Orange-Chatham County Community Action Agency (JOCCA) before retiring in 2015. During his younger years, he enjoyed hobbies like riding his motorcycle and driving his vintage Corvette. But he was defined by his love of family. Gene had a kind heart and was fiercely dedicated to those he loved. His loyalty ran deep and touched many. Over the years, he spent countless hours enjoying family gatherings and trips, and was always there when someone needed help. He offered words of wisdom and gentle, nonjudgmental counsel, accepting others as they were. Gene leaves to cherish his memory his devoted wife of 42 years, Winona Burnette Autry; his children, Jameka Autry and James Autry III; sisters Edith Hubbard and Shirley Autry; Ella Armstrong, and Lela Washington; brother-in-law Wilbert Burnette and his wife, Corledia; aunts Etta Breece and Macie McKeithen; nieces and nephews Rhonda Beatty and her husband Bryan, Gregory Hubbard and his wife Alicia, Carlan Escribano, and Melanie Burnette; special niece Kari Cameron; great-nephews and nieces Bryan Beatty Jr., Nicole Beatty, Brandon Hubbard, Juliana Hubbard, and Michael Beatty; special brothers David Sellars, C.C. Fisher, Thomas Jones, Thomas Ross, and Harold Sellars; and a host of relatives and friends who will greatly miss him. The family appreciates all expressions of love and kindness extended during this sad and difficult time.